From raw material to powder coated finished product – all under one (very large) roof. Wouldn’t it be nice to only deal with one great business in the manufacture of your products? A reliable partner who turned raw materials into a finished product then delivered it to your door. Welcome to Metal Skills. 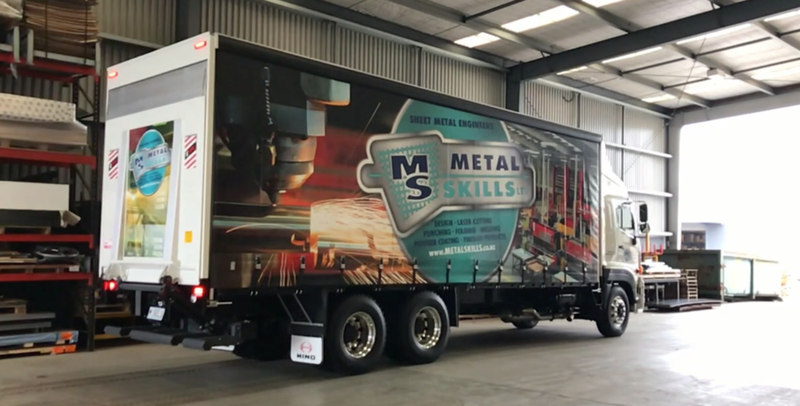 We are New Zealand’s only true single-source location for a true end-to-end manufacturing solution for sheet metal fabricated products. Product design, laser cutting, punching, folding, welding and of course powder coating. All under one, quite large roof. If it’s metal, we can turn it into anything you want and, finish it in any colour you like – it doesn’t even have to be black. Of course, we can also produce finished metal components for products that include non-metal parts too. Just let us know when and where you need your next batch of components and we’ll make it happen. Why not pay us a visit to see how our state-of-the-art facility works. You’ll see why it sets us apart when you do.